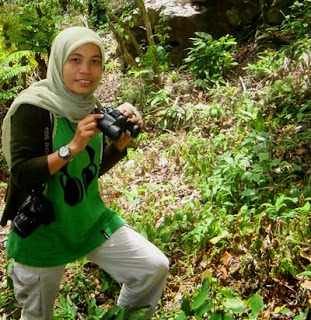 Agus Nurza is a Veterinarian by profession and started off as a birdwatcher based in Aceh province of Northern Sumatra, Indonesia. Since 2007, Agus involved in studies on ecology and distribution of various bird species and also published numerous reports and papers. He is also an accomplished bird photographer and continues to explore new sites on Sumatra in search of endemic birds. He is a talented bird photographer with a particular interest in capturing the many photographed birds in Sumatra. He has more than a passing interest in the wildlife and is attempting to see all megafauna of Sumatra. Bird-surveying and guiding throughout the Indonesia region and in particular Sumatra. Agus also as one of the co-authors both of The 100 Best Birdwatching Sites in Southeast Asia edited by Yong Ding Li and Low Bing Wen, 2016 and The 125 Best Birdwatching Sites in Southeast Asia, edited by Yong Ding Li and Low Bing Wen 2018. Publications articles, viewable here or see below of page. He enjoys sharing his passion for birds via his FaceBook, Instagram, tours and workshops. Rubama is a women who has traveled many areas of spending a few years in the field, visiting many remote areas in search especialy of hornbill and environment quality. She is focus on developing eco-torism in Aceh-Sumatra, whit the educational background Biology and Environmental, Rubama also develop creation recycling of organic waste and inorganic waste management with community-based. Very comfortable sharing his knowlage and empaty with others. She enjoys sharing his passion for birds via her facebook, tours and workshop. Hasri was born in Medan, North of Sumatra. 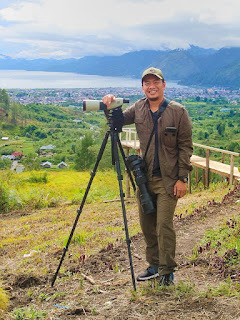 He studied Biology at Sumatra Utara University and also active in conservation activities such to secure the environment of the waterbirds habitat since he was study in the university. Hasri still active in various environment activities and join with the other local NGO’s in Medan. Hasri have been being doing research about habitat of Waterbirds in North of Sumatra. He also contribute and as a volunteer in Asian Waterbird Census by the Wetland International. Hasri Is as one of Aceh Birder team and Bird guide in north Sumatra. 9. AGUS NURZA1 , HUSNURRIZAL2 , MUHAMMAD IQBAL, 2017. Recent record of Masked Finfoot (Heliopais personata) in Indonesia after 17 years. BONOROWO WETLANDS, Vol 7: No 1, P: 8-10.